After placing in the CGSociety Uplift Challenge with my ‘Adorable Alien’ entry, I was made a judge and ineligible to win any prizes in the following contest. 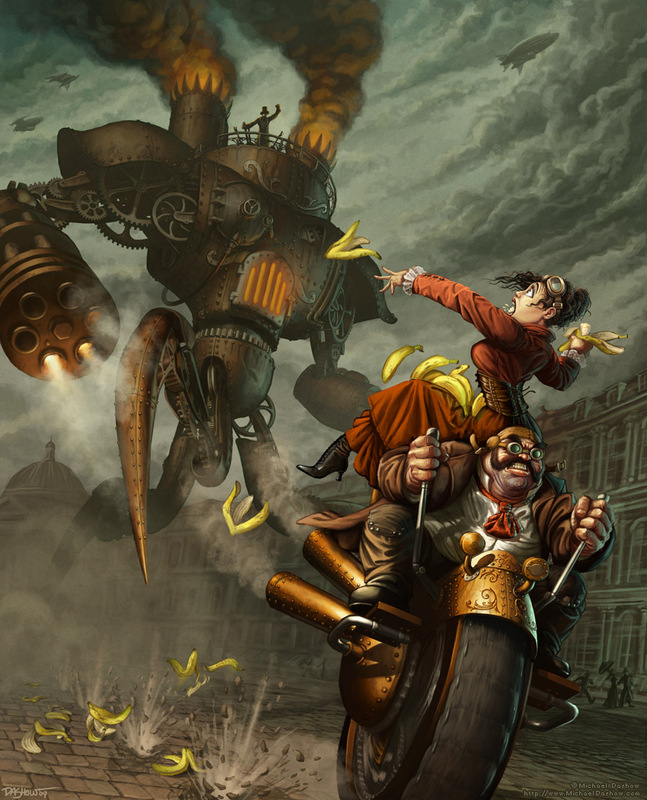 However, the theme was Steampunk and I’d been dying to work on a steampunk painting. So I worked on this piece for the challenge anyhow: I love getting feedback from folks and “hanging out with” friends during the Challenges, and who wouldn’t want a steampunk piece in their portfolio? As with the previous painting, I built some base geometry for the mechanical bits in 3DS Max, but did all of the paint and color-work in Photoshop. If anyone’s interested in seeing the steps to the creation of this piece, you can follow the very long Challenge thread here.